How I Gained It: The short answer? Lack of activity and portion control. But it’s not like it just “happened” in my case — I had always been overweight. I was always the “fat girl” in school; people would always tell me I had a great personality or a pretty face. In other words? Fat! Throughout my childhood and into my teenage years, the pounds just kept adding up. I was not the most active child, and although I did participate in extracurricular activities here and there, but certainly not enough to combat my eating habits. The other issue was that I lacked portion control. I not only ate whenever I wanted, but whatever I wanted too, and in very large amounts. For example, an after school snack for me at age 10 was an entire box of Stovetop stuffing, or a whole box of Rice-a-Roni! Clearly a side made to serve a family of 4 was not intended to be eaten at one sitting by a kid. I had many other indulgences too — I would eat multiple plates of spaghetti at family dinners, seconds of desserts, and heaping portions of chocolate candy until my stomach hurt. I was on the fast track to unhealthy. Breaking Point:My breaking point came when I finally realized that I was sick of being invisible. Going out with groups of friends and being the only heavy person at the table, I literally felt as though no one even noticed that I was there. After all of the years as being the “fat friend” I ecided that I no longer wanted to be associated with that title. 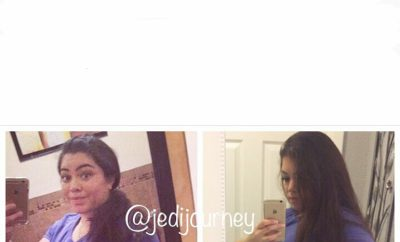 So I decided it was time to lose weight — I didn’t choose a particular number to aim for, but I intended to lose until I felt healthy and comfortable. 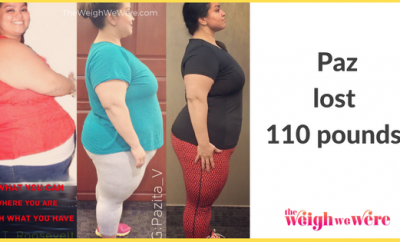 How I Lost It: The very first step I took in my journey towards weight loss was to tackle my eating habits – I drastically changed not only what I ate, but my portion sizes as well. I began eating “clean,” which to meant cutting out almost all processed foods and condiments. I also limited my intake of breads and starches. Fast food was out of the question and I began cooking at home the majority of the time. I had to demonstrate incredible willpower to resist many of my favorite foods, but I knew it would all be worth it once I reached my goal, and trust me it was. The second component to my weight loss was incorporating activity into my daily life. For me, this meant committing to go to the gym four days a week. It sounds like a lot, but I can attest to the addiction to exercise you get when you start feeling great and seeing results. I’m still working out on a consistent basis — during each session, I clock at least 30 minutes of cardio, and I like to switch it up between cardio machines so that it never feels monotonous. I also weight train three days a week, whether on machines or with free weights. Some people hire trainers to tell them what to do, but I created my own exercise and nutrition plan just through researching … no personal trainer needed! This new chapter in my life has sparked an interest in nutrition and fitness that I never knew existed; I read articles on food and exercise every chance I get. I could not be happier about the place I am in my life. The dedication and sacrifice is tough, but it’s well worth it. The best part is the sense of pride I receive from being an inspiration to people around me. 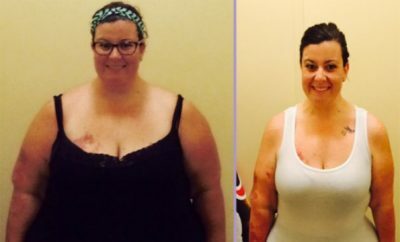 A co-worker of mine was so impressed by my transformation that it has inspired her to lose 40 pounds herself. 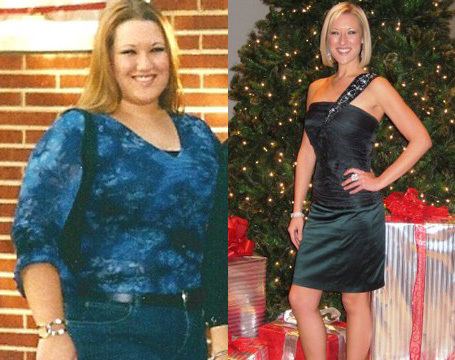 Michelle has maintained her weight loss for three years now. Next Story → Weight Loss Before and After: I Lost 21 Pounds At 53! You are gorgeous and an inspiration! You look amazing, Michelle! Do you mostly eat healthy foods in addition to portion control? Or do you still sometimes eat stove top or rice-a-roni but only eat the serving size? She lived here in Coeur d’Alene and was very active in the community. She’ll be missed by a lot of people. You look fantastic! I keep saying this but someday i am going to have a before and after picture. Vanessa Fessenden your pics will be on here one day soon! Wow…what an inspiration!!! Keep em coming!! I’m so glad for you my husband always told me that but i never listen to him it does make sense. Wow. Just, wow. So happy for her! Truly inspiring. you look awesome! thanks for inspiring! The motivation just keeps coming! This is how I’m losing my weight. Learning portion control was key to my success. Eating just the serving size listed on anything has made a huge difference! Great job! You look wonderful! Congrats! Way too go! You look great! Awesome. Wish my body would help me loose these 35 pounds xtra I have on me…been ridiculed by family bcuz Ive always been thin and not to bad looking yet since i was diagnosed plus in 15 month 13 surgeries and having last ine tomorrow god willing i look nothing like myself. Excer. Has been useless becuz of the limitations but even so I love when someone else looks great and triumph over their hurdle way to go! Hooah! I’m doing the same thing, and started 3weeks ago, how long until you really saw results? Portion control is key! I lost 95 lbs in 1 year once, on my own… well with “diet pills” when I was 18. 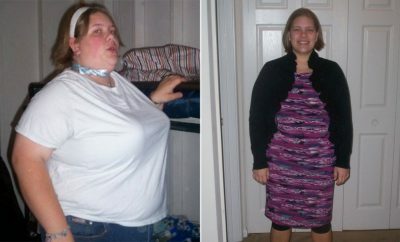 Then at age 33 I had gastric bypass surgery & lost 160 lbs. But both were portion control.